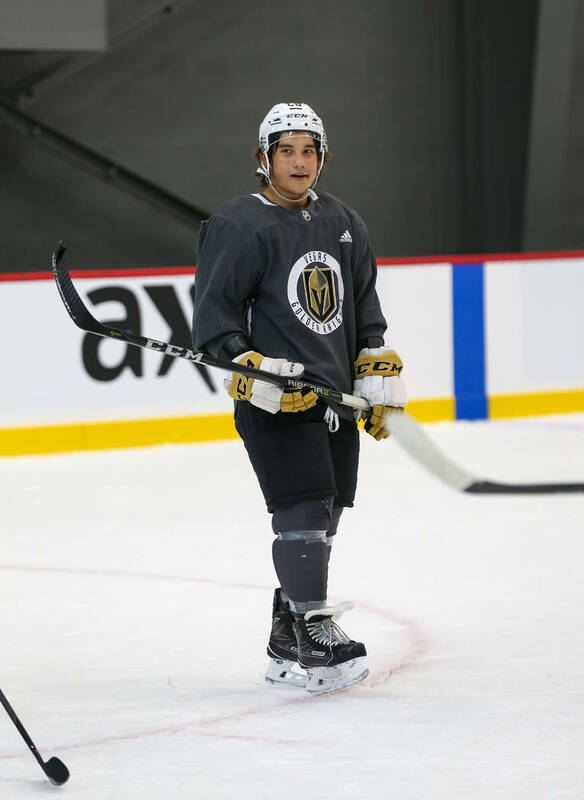 The rookie camp for the NHL expansion team concludes with scrimmages against the Los Angeles Kings rookies Tuesday and Wednesday at the Kings’ practice facility in California. 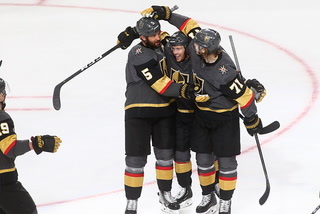 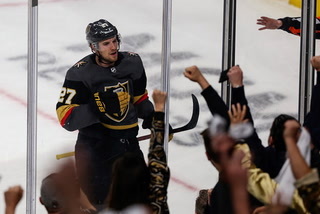 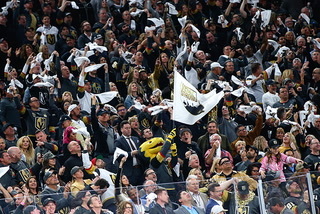 Golden Knights general manager George McPhee says he wants players who will represent the NHL expansion team with pride and play with effort every night. 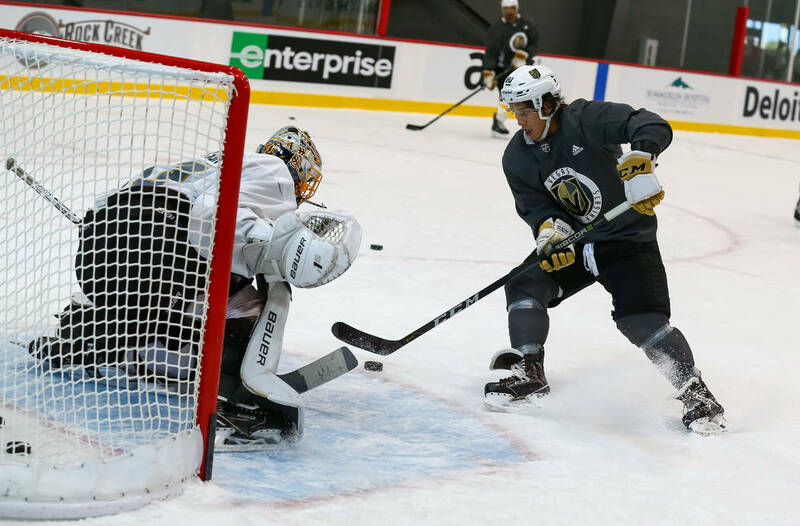 That first opportunity presents itself Tuesday as the Knights’ rookies scrimmage the Los Angeles Kings’ rookies in El Segundo, California. 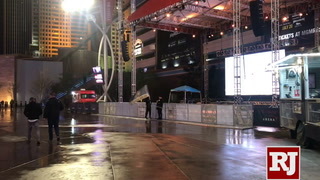 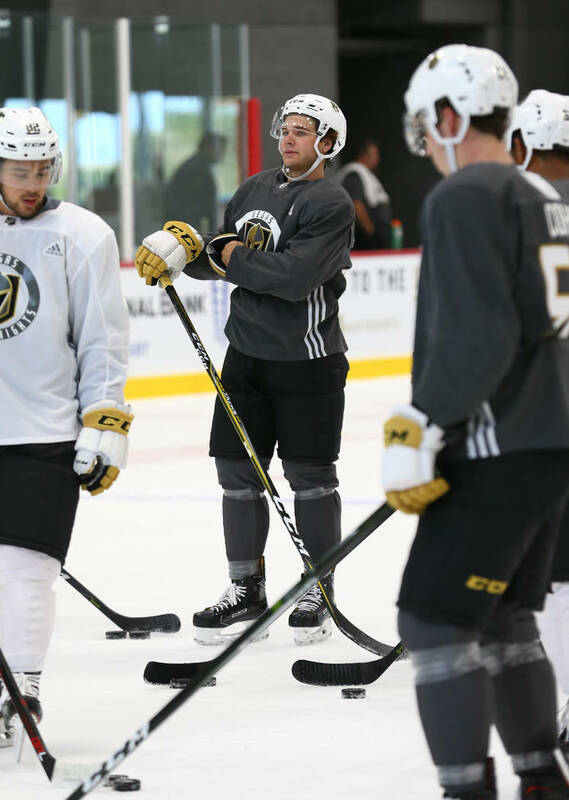 Yes, most if not all of the Knights’ participants probably won’t be in the NHL come opening night Oct. 6 in Dallas. 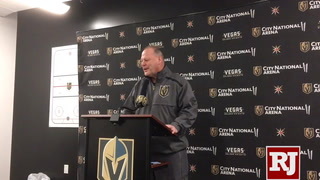 But to the players and coaches, the scrimmages Tuesday (5 p.m.) and Wednesday (1 p.m.) matter. 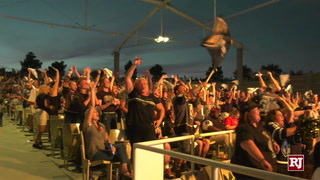 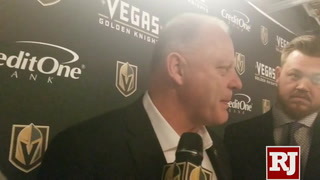 Both games will be streamed live on the Golden Knights’ website — vegasgoldenknights.com. 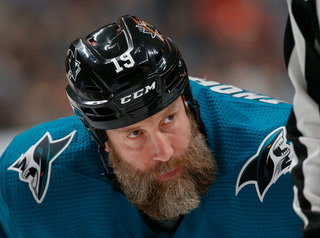 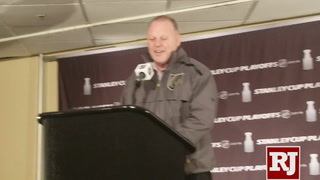 Chicago Wolves coach Rocky Thompson, who has been running the rookie camp, said he has seen the intensity ratchet up and the players have picked up the tempo in anticipation of playing against someone beside themselves. 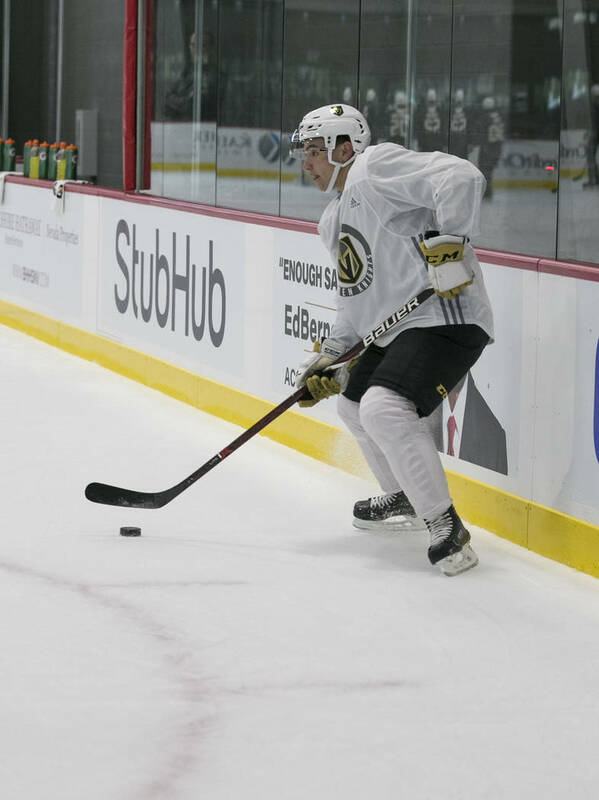 It isn’t lost on Thompson that Tuesday is yet another milestone for the expansion franchise. 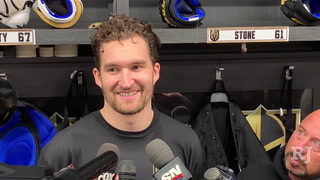 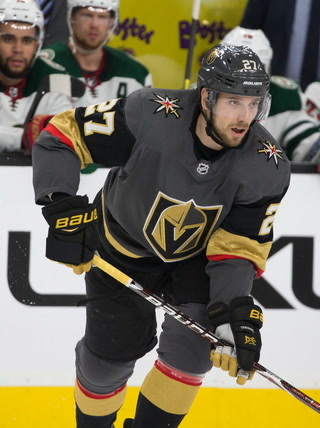 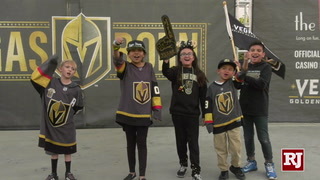 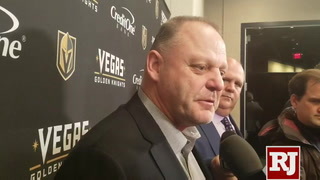 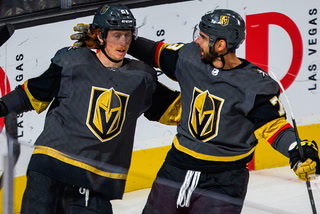 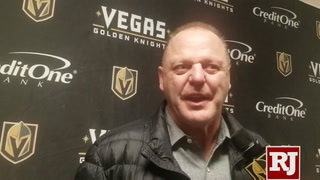 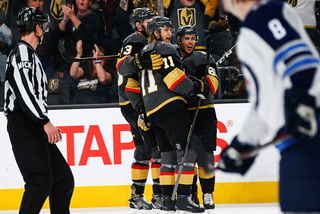 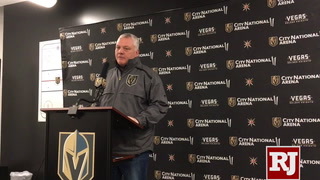 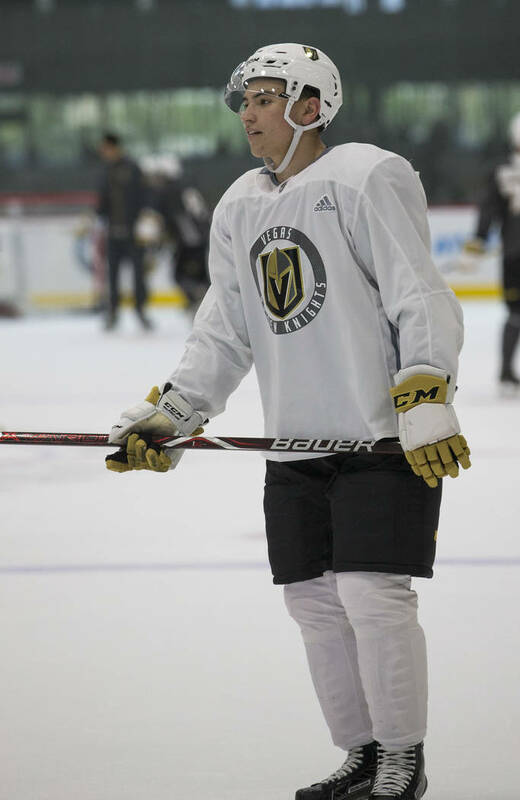 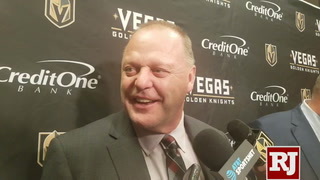 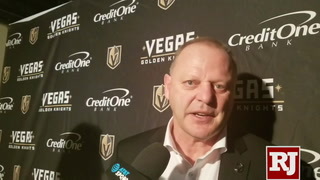 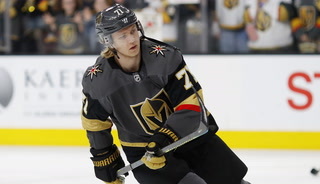 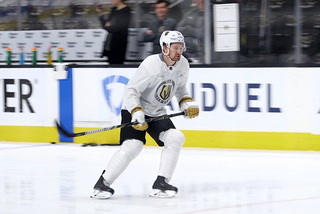 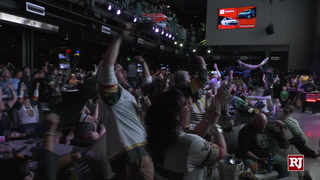 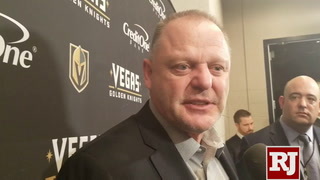 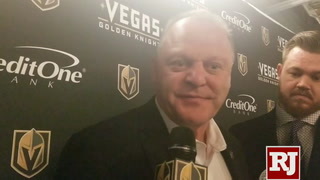 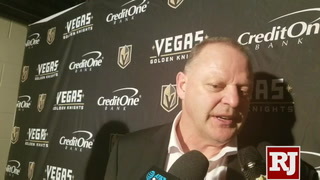 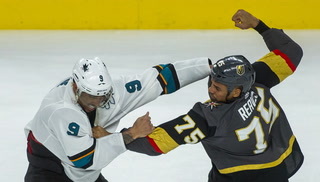 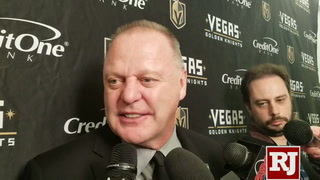 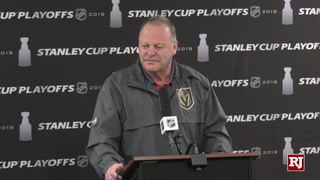 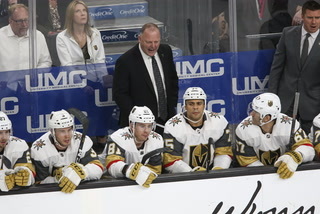 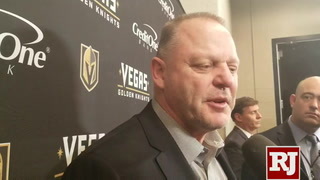 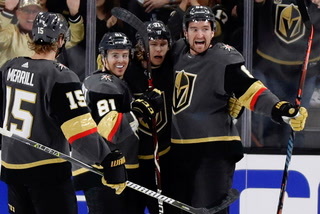 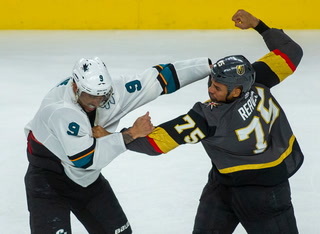 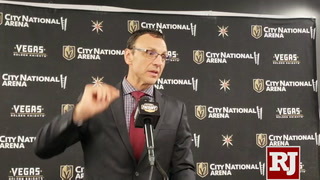 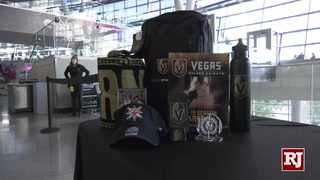 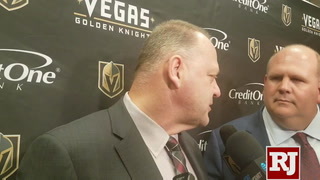 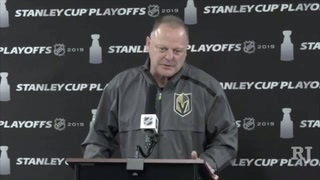 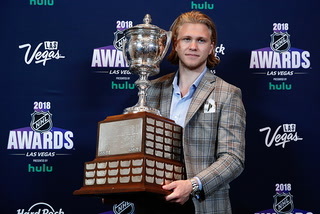 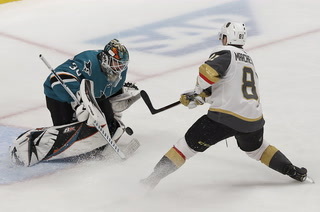 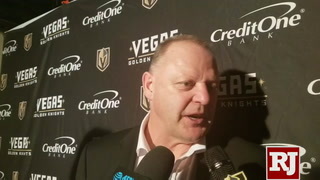 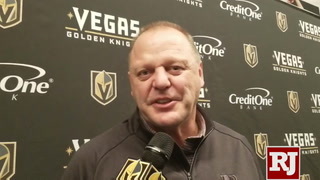 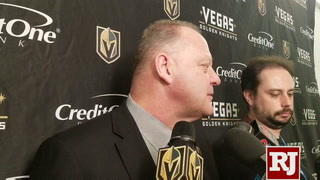 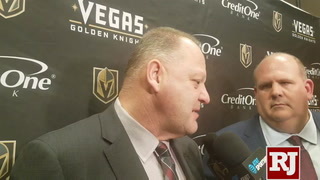 “It’s an opportunity for the players to show that they belong here and it’s an honor for them to represent the Vegas Golden Knights for the first time,” Thompson said. 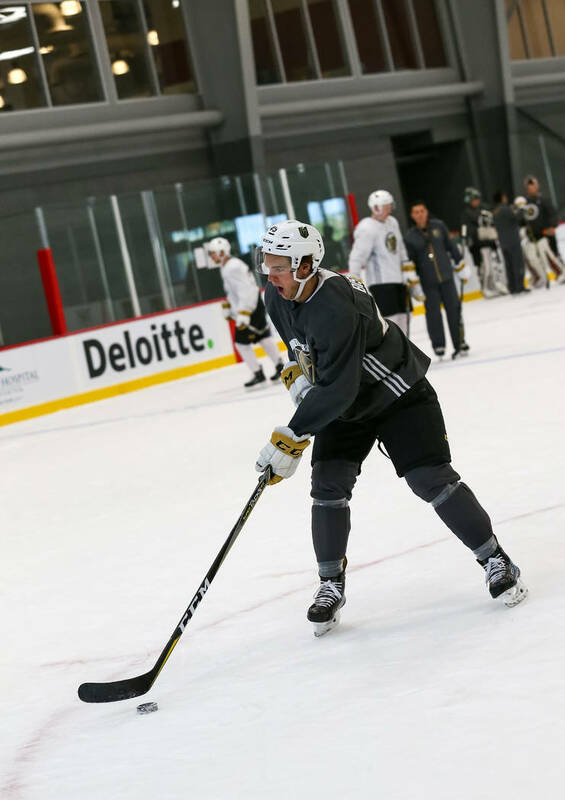 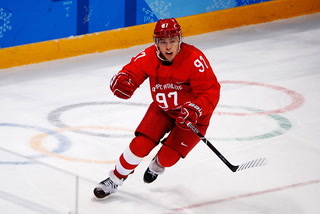 Twenty-three players will dress for the games at the Toyota Sports Center, the Kings’ practice facility. 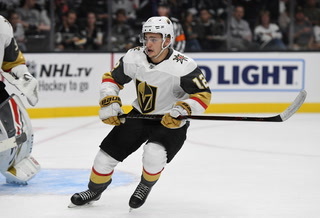 Only forward Jake Leschyshyn, who is coming back from major knee surgery, will not play. 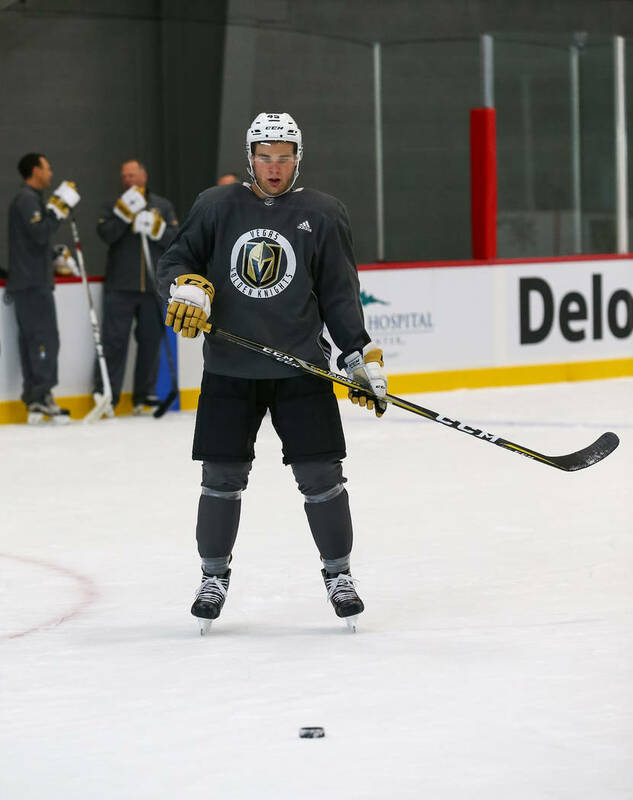 Leschyshyn, a second-round pick, has skated during the entire rookie camp but has been held out of contact drills. 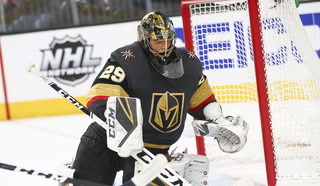 Thompson will likely play all three of the goalies in camp — Jiri Patera, Dylan Ferguson and Logan Thompson — though he didn’t say who would start. 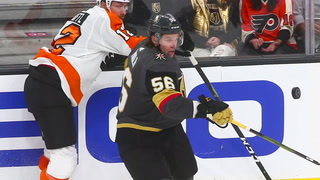 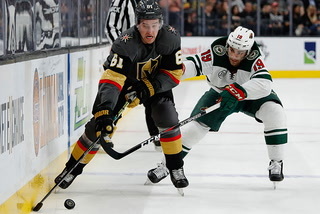 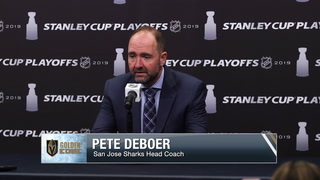 He has put together his lines with Reid Duke centering for Tyler Wong and Alex Tuch, Cody Glass working with Tomas Hyka and Alex Barre-Boulet, and Suzuki centering for Keegan Kolesar and Patrick Bajkov. 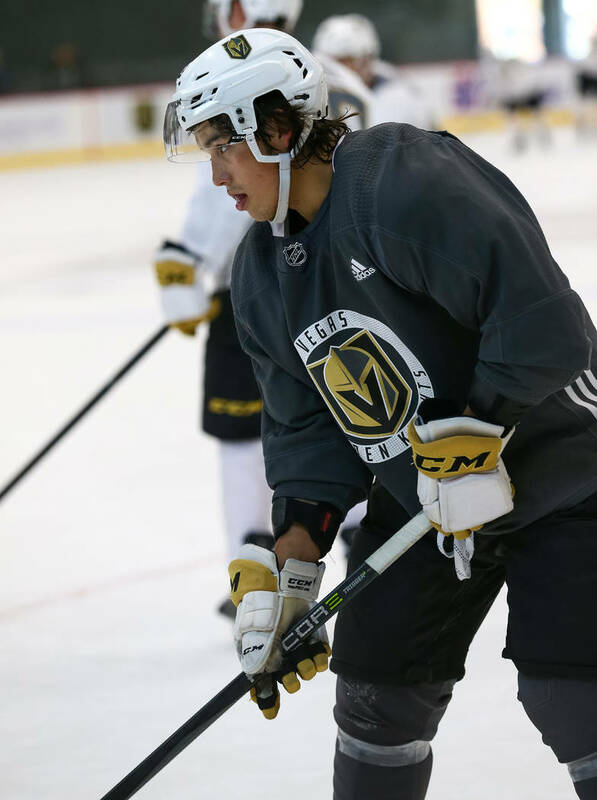 The fourth line has Lucas Elvenes, Jayden Halbgewachs and Ben Jones. 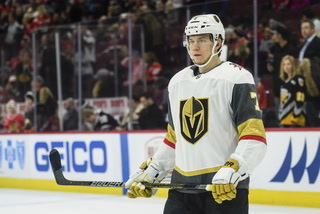 The defensive pairings have Bischoff with Nic Hague and Dylan Coughlan with Nikolas Brouillard. 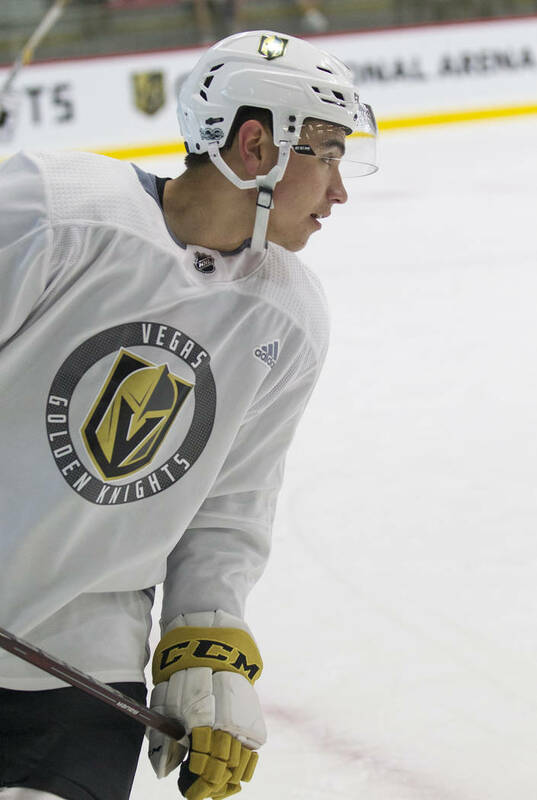 Dmitry Osipov, Keoni Texeira and Will Warm likely will rotate with each other on the third group. 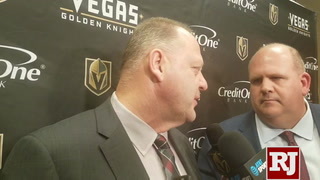 Wong said he and his linemates have been able to form some early chemistry. 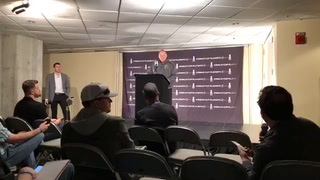 Wong said everyone is anxious to play in the scrimmages.